Please note that if your order is urgent, we request that you contact us by email at the time you place your order (see our contact page) so that we may handle your order appropriately. Our best value price for milled calcium montmorillonite (our green desert clay) begins at $110.00 per 5 Gallon Container, plus shipping. 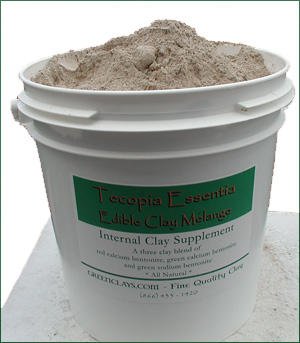 We also now offer a 2 gallon size (15 lb.s) for those who need smaller quantities of clay. Check out our new combo pack which includes four 1/2 gallon containers, each filled with one our most popular products: One bulk green clay, one internal 3-clay blend, one external 3-clay blend, and one container of Inland Sea Minerals for use with clay baths.... all for $150.00 plus shipping. We accept payments by credit card via Google Checkout (see below), or check/money order. to enquire further. Prices are subject to change without notice. The best way to contact us is via email; we are an internet-based company and keep our overhead very low to keep our prices the lowest possible. Although most orders are shipped out the next day, all orders are made to order; please allow 72 hours processing time. We can now accept credit card orders over the phone. In order to process your order, please email us your product order details including your shipping zip code and telephone number. There is a 4% add-on charge to the order for phone credit card orders. If you'd like to pay online now, please use the shopping cart below. 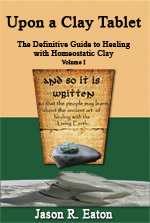 One copy of Upon A Clay Tablet, Volume I including free shipping via USPS. Five copies of Upon A Clay Tablet, Volume I including free shipping via USPS. One two gallon container of 325 mesh calcium bentonite/montmorillonite clay powder. 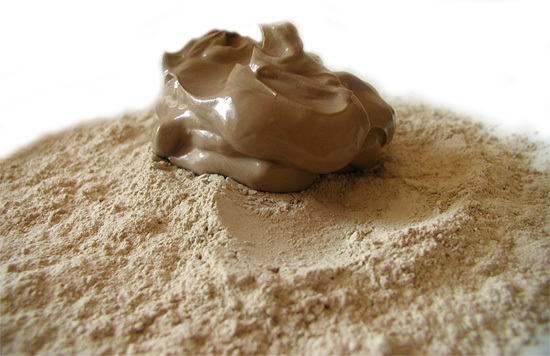 This is an all purpose green desert clay. One five gallon container of 325 mesh calcium bentonite/montmorillonite clay powder. This is an all purpose green desert clay. Two five gallon container of 325 mesh calcium bentonite/montmorillonite clay powder. This is an all purpose green desert clay. 5 five gallon container of 325 mesh calcium bentonite/montmorillonite clay powder (200 lbs.). This is an all purpose green desert clay. One Inland Sea Clay Bath Kit. Includes detailed instructions for use. 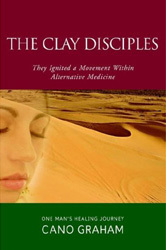 One Copy of The Clay Disciples by Cano Graham including free shipping via USPS. Please or call for an exact quote if you need to order differing quantities or place an international order; please include zip code for a quote including shipping charges. The Tecopia Essentia®, Prehydrated Eytons' Earth® Private Stock® products are not labeled for human use. All sales are final.